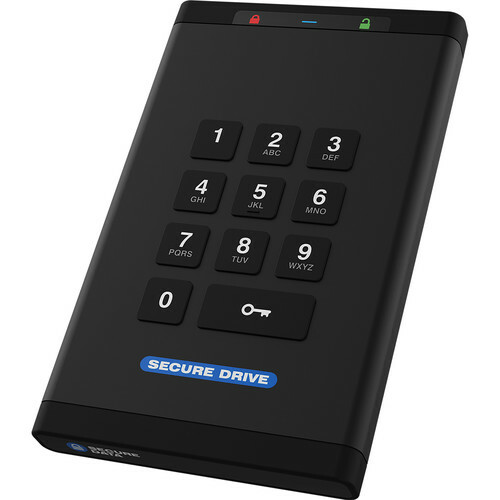 The SecureDrive KP Encrypted SSD from SecureData is a solid-state drive that supports a capacity of up to 250GB. It contains an independent processor, a crypto processor, as well as other security components to create a unique and patent pending design. The SecureDrive will work on any host operating system including Microsoft Windows, MacOS, iOS, Linux, Chrome, Thin Clients, Zero Clients, Android, and Embedded systems. It is a backup solution for DVRs, game consoles, laptops, PCs, servers, workstations, and any other device with USB ports. There are no drivers or software to update, all encryption and authentication is performed directly on the drive.